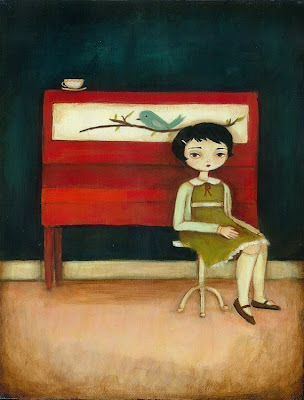 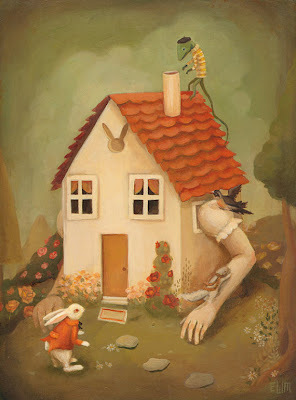 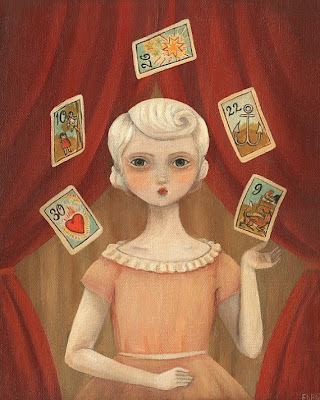 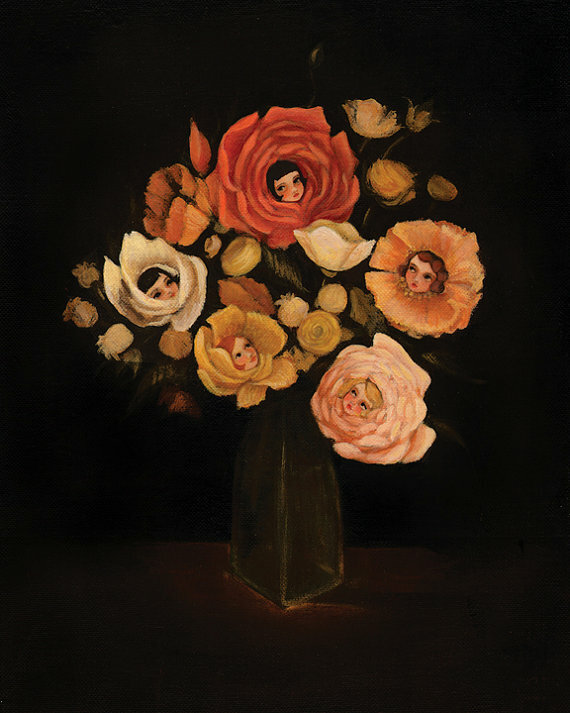 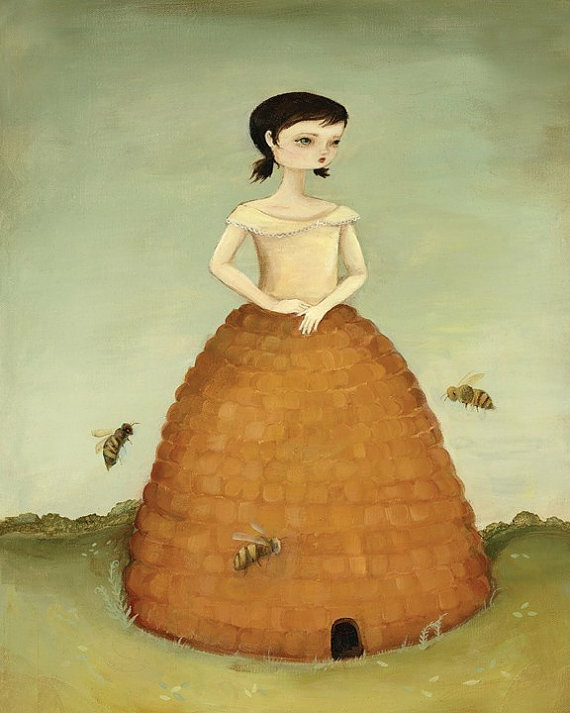 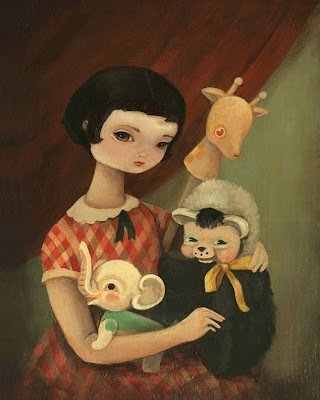 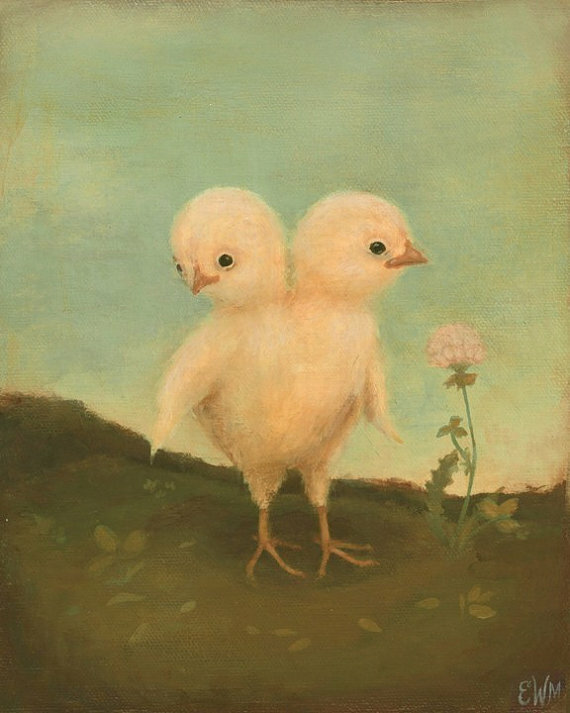 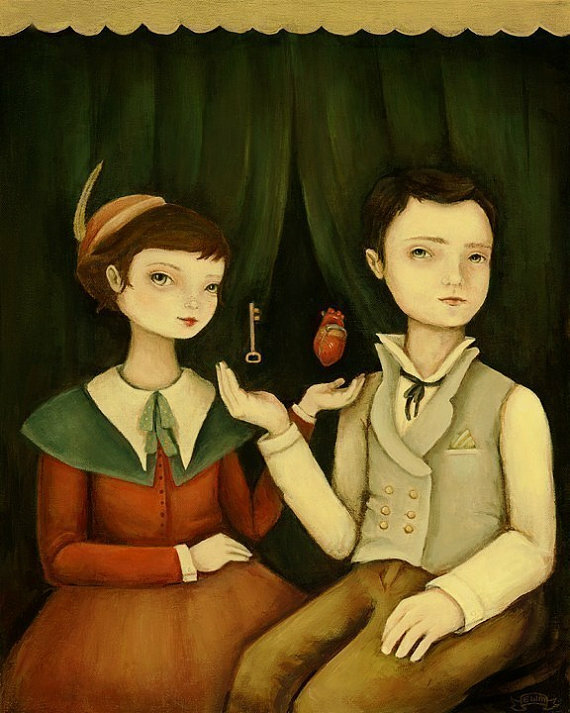 I am so utterly charmed by the color palette and subject matter of Emily Martin's quaint and subtly sinister prints. 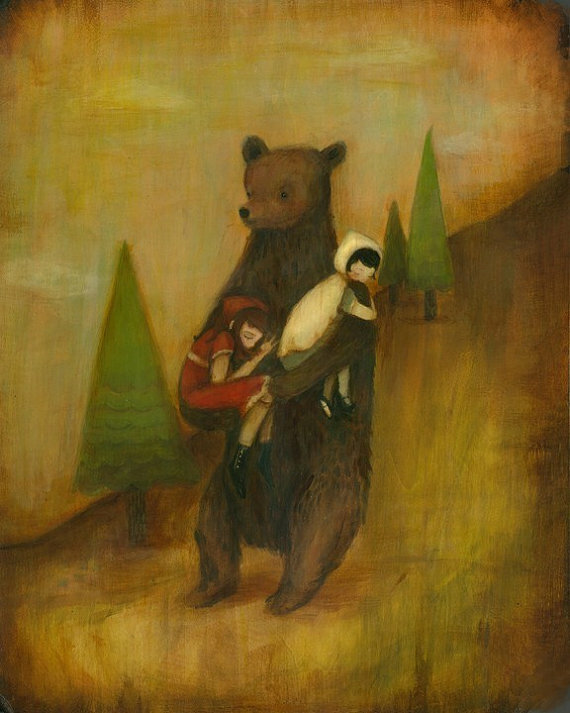 Now to decide which lovely to bring home. See more at her shoppe The Black Apple.